Paul Merson believes Arsenal have been crying out for a Lucas Torreira for over a decade, and insists the midfielder has transformed the side. Torreira, 22, was one of Unai Emery's first signings at Arsenal, coming in for £26m from Sampdoria following an impressive World Cup with Uruguay. The midfielder has shone in recent weeks, picking up man-of-the-match and scoring in wins over both Tottenham and Huddersfield, and Merson is full of praise. He told Sky Sports: "They've been crying out for someone like him since Gilberto Silva and Patrick Vieira. He gets around people, closes players down, gets everybody fighting. He's not a natural passer, but he sets the tempo. "I've said all along, for years and years; Arsenal are one of the best teams in the world with the ball. But for the last four or five years they've been one of the worst in the world without the ball. He has changed that. When Torreira gets around people, it's a domino effect, and everybody else rallies and gets around the opposition players. "And his attitude is great; he leaves nothing on the pitch and gets stuck in. He gets people going. He's done absolutely outstandingly well, and came up with two massive goals in the last couple weeks." 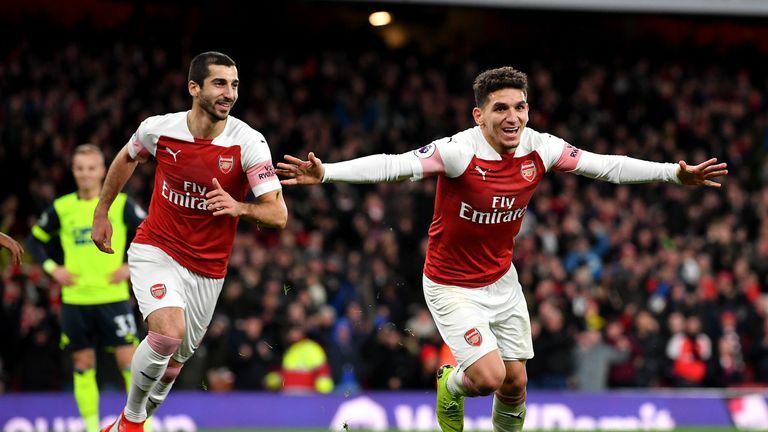 Such is Torreira's suitability at the Emirates, Merson believes he would not necessarily fit in at a stronger club at the moment, and says he has room for improvement. "Liverpool wouldn't buy him tomorrow morning, I wouldn't have thought any of the top four would. He can and will get better, but he's done great. "They needed it, we all knew that, Arsene Wenger knew it but he was too stubborn to go and get someone. "He could be playing at Southampton and wouldn't get a mention, or Burnley. No-one would mention it. It's just that Arsenal needed it so badly."